Sometimes that’s followed by another: How much time do you have? There are 17 candidates who will be on Tuesday’s ballot, each with certain qualities, qualifications, and visions for the office. The Public Advocate has wide latitude for how he or she approaches the job, making the question of what you most want in the office-holder key, especially given the broad and deep pool of candidates now running. While the Public Advocate’s office comes with a modest $3.5 million annual budget and is oft-ridiculed, it actually has a lot of responsibility and can have significant impact on public policy, not to mention the fact that the post can be an important proving ground for pursuing higher office (see the last two Public Advocates: Mayor Bill de Blasio and Attorney General Letitia James). The four individuals who have been elected Public Advocate to date have brought different skills, priorities, and approaches to the role. The Public Advocate is the citywide official charged with being a watchdog over the rest of city government and with being an ombudsperson for the public. The Public Advocate has the power to introduce legislation to the City Council, a seat on the city’s public pension board, and a healthy bully pulpit and springboard underneath them. The Public Advocate is often expected to be a willing critic of the Mayor, taking the city’s chief executive to task for blurring ethical lines or spending too much or flubbing the rollout of a program or traveling out of town too often -- and so on. The election is open to all registered voters across the city, with polls open 6 a.m. to 9 p.m. Very low turnout is expected from the city’s roughly 5.2 million registered voters, but perhaps given recent Trump era trends and the fact that there are so many candidates who’ve been campaigning New Yorkers will exceed those forecasts. ...will aggressively hold Mayor de Blasio accountable? Go with Eric Ulrich, the lone Republican elected official in the race. ...has high-level experience in the federal government, and little local political muck on their shoes? Go with Dawn Smalls, an attorney who worked in both the Clinton and Obama administrations. ...knows both federal and state government? Go with Michael Blake, a member of the state Assembly who worked on both Obama campaigns and in the administration. ...has the highest level of experience in city government? Go with Melissa Mark-Viverito, the former City Council Speaker. ...will agitate and legislate, is as likely to lead a protest through the streets as introduce a bill? ...will throw rhetorical bombs and rage against the machine from the far left? Go with Nomiki Konst, an activist and journalist who was a Bernie Sanders delegate and pulls no punches, at times overzealously, while calling for policies like a $30 minimum wage. ...is thinking about urban policy for the future, with an eye on sustainability and a green economy? ...is most focused on engaging New Yorkers to participate in civic life and impact the direction of public policy that’s best for their communities? Go with Ben Yee, who wants to take his informal but informative civic education program to new heights in elected office. ...is the most conservative, with nice things to say about President Trump? Go with Manny Alicandro, the other Republican in the race, who is far more aligned with Trump than Ulrich is. ....will focus on immigrant communities and transit issues? Go with Ydanis Rodriguez, a City Council member and himself an immigrant, who has led the Council’s transportation committee for several years. ...has been an LGBT trailblazer and leading advocate for LGBT rights? Go with Danny O’Donnell, an Assembly member from the Upper West Side. ...will call out and examine overspending by the city? ...will focus on the legislative powers of the role? Go with Mark-Viverito, Espinal, or Williams. ...is best positioned to run policy and program oversight operations of the office? Lean toward Mark-Viverito, but consider Smalls. ...will continue Tish James’ use of the office as a law firm of sorts? ...will transform the office to focus on alleviating student debt? Go with Ron Kim, a state Assembly member who has pledged to reinvent the office. ...ardently supported the plan to bring an Amazon campus to Queens? ...ardently opposed the Amazon plan? Choose from O’Donnell, Kim, Espinal, and Konst. ...thought the Amazon deal could be reworked to benefit New Yorkers? Choose from Smalls, Blake, and Williams. ...will take on real estate developers? Choose from David Eisenbach, a Columbia professor and activist, Konst, O’Donnell, and Williams. ...will continue to lead the push to close the Rikers Island jails? ...thinks Rikers Island should remain home to most of the city’s jail population? Go with Ulrich or Alicandro. ...has negotiated neighborhood rezonings with the de Blasio administration and may be able to help as others attempt to do so? Choose from Mark-Viverito, Espinal, and Rodriguez. ...is supportive of charter schools? Go with Blake, Ulrich, or Tony Herbert, a consultant and activist. ...would bring greater gender balance to citywide government? Go with Mark-Viverito, Smalls, or Konst, the three women in the race (Latrice Walker will also be on the ballot, but she dropped out weeks ago). ...would continue an established focus on helping more women run for elected office? ...has been a criminal justice reformer? Choose from Mark-Viverito, Williams, and Blake. ...will focus on NYCHA tenants? Choose from Blake, Herbert, and Mark-Viverito. ...will make affordable housing a top priority? ...will make helping homeless families a top priority? ...has been an ally for military veterans? ...will make small businesses a top priority? Choose from Eisenbach and Rodriguez. ...will push for change at the MTA? Choose from Mark-Viverito, Rodriguez, and Blake. ...has an eye toward more forward-thinking transit policy? Choose from Espinal, Rodriguez, and Mark-Viverito. ...will focus on minority- and women-owned businesses (M/WBEs)? Choose from O'Donnell, Konst, Smalls, Eisenbach, Alicandro, and Herbert. ...has been a close ally of Mayor de Blasio’s but also pushed him on several issues? Go with Mark-Viverito or Williams. ...has a solid working relationship with Governor Cuomo and state legislative leaders? ...is most ready to step in as Mayor if there is a crisis that necessitates it? Lean toward Mark-Viverito, but consider Blake. ...won’t use the position too evidently as a stepping stone to run for Mayor? Choose from O’Donnell, Smalls, Konst, Yee, or several others not named Ulrich, Blake, or Mark-Viverito. New York City’s special election for Public Advocate will take place this Tuesday, February 26, and there will be 17 candidates on the ballot, although one has suspended her campaign. Ten of these candidates qualified for the first official televised debate, then seven of those ten qualified for the second debate. Those candidates and others in the race have also been appearing at many local forums, making the rounds on television and radio, and taking part in other aspects of campaigning as they make their pitches to voters on why they should be the next citywide official tasked with providing oversight of the rest of city government and being an ombudsperson for New Yorkers. The public advocate also has the power to introduce legislation to the City Council and the post comes with a budget of roughly $3.5 million. The position has proved to be a springboard, with its most recent occupant, Letitia James, now in the Attorney General’s office, and her predecessor, Bill de Blasio, now the Mayor. Most candidates have said that if they win on Tuesday they do not intend to run for mayor in 2021; meanwhile, the winner of the special election would need to then win an election later this year to hold the seat for 2020 and 2021. There will be June party primaries if necessary and there will be a November general election. As the candidates finish campaigning, below is a look at how each has sought to define themselves and their candidacy. Next to each candidate’s name is his or her self-created party ballot line, a necessity given that special elections are nonpartisan. A former Speaker of the New York City Council, Mark-Viverito has continued in her public advocate campaign to focus on her two top issues as Council speaker: immigrants’ rights and criminal justice reform, including the plan to close Rikers Island jails, which she spearheaded and brought Mayor de Blasio along to support. She’s also focused on the MTA, wanting to see the legalization of marijuana use, with tax revenue going toward the subways and buses, along with congestion pricing as another funding source. Mark-Viverito has stressed the need for diversity in government, including to have female representation among officials with citywide responsibilities -- the current mayor, comptroller, and Council speaker are all white men. She’s criticized de Blasio and Governor Cuomo for failing to work cooperatively on the MTA and other matters, part of continuing attempts to prove that she would be tough in holding de Blasio accountable given that the two have had a close working relationship, including the mayor helping Mark-Viverito to become the speaker. 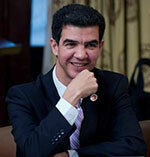 A member of the state Assembly from the Bronx, Blake is also a vice-chair of the Democratic National Committee. He touts his work on the campaigns and in the administration of President Barack Obama, and in Albany on issues from criminal justice reform to economic opportunity. Blake has led the race in fundraising and has received a wide variety of endorsements from elected officials and political clubs. His campaign slogan is “jobs and justice for the people,” and he’s focused on issues including affordable housing, NYCHA, criminal justice reform, and empowering women- and minority-owned businesses (M/WBEs). Blake was critical of the deal to bring Amazon to Queens that later fell apart, but has indicated he wanted it reworked, not scrapped altogether. That stance is indicative of the fact that Blake often takes somewhat more moderate positions than some of his fellow Democrats, especially those in the public advocate race. A City Council member from Brooklyn, Williams has been seen as the frontrunner in the race from the start given the momentum from his 2018 primary challenge of incumbent Lieutenant Governor Kathy Hochul, when he ran alongside Cynthia Nixon in her campaign for governor. That race gave Williams a leg up in name recognition and relationships that quickly carried over to this campaign, helping him land a long list of endorsements from clubs, groups, and leaders. He often calls himself an “activist elected official, long before it was popular,” saying “I can be the voice for change while effectively being the person making that change.” Williams has long focused on both affordable housing and criminal justice reform. In this race he has often touted his opposition to the Mandatory Inclusionary Housing policy passed last term under de Blasio and Mark-Viverito. During the first debate, both Blake and Melissa Mark-Viverito criticized Williams over his past statements on abortion and marriage equality. Williams has indicated an evolution on both issues and apologized to members of the LGBT community for past statements that he says did not express clear enough support. He has said that he would not want to pursue abortion for a pregnancy he was involved with, but that he has consistently supported women having the choice. Smalls has focused her campaign on the MTA and housing, saying that a top priority would be the homelessness crisis, especially women and children. She has shown some unfamiliarity with city government and politics, but has said that her experience, knowledge, and approach to government should win over those who are interested in an outside and not worried if their public advocate doesn’t know every piece of legislation that has gone through the City Council in recent years. A City Council member from Brooklyn, Espinal has focused his campaign on making the city more “liveable,” meaning easier to afford, get around, and enjoy. He often touts his record championing the city’s nightlife industry, its workers, and others affected by laws governing it -- his legislation repealed the Cabaret Law, which limited where dancing is allowed in the city and he and others called racist and homophobic. Espinal has a focus on environmental issues and a forward-looking campaign, with a promise to legislate for a city of the future. He was ardently opposed to Amazon bringing a massive campus to the city, instead calling for investments in small businesses and infrastructure. A member of the state Assembly from Queens, Kim has focused his campaign on both fighting big corporations such as Amazon and using the office to help cancel out New Yorkers’ student debt. Kim was fully opposed to Amazon coming to New York and has railed against any and all “corporate giveaways” by government. Kim has said in the effort to attack the student debt issue he would move away from the public advocate office’s typical and core functions, such as being a watchdog over city agencies. An activist and journalist who has been involved in a variety of short-term projects, Konst has said she’s a member of the Democratic Socialists of America and has run a far-left campaign. A Bernie Sanders delegate who was named by Sanders to a reform and unity commission of the Democratic National Committee, where she made some waves and developed a larger progressive following (also aided by her appearances on cable television political talk shows), Konst has proposed a $30 minimum wage as the centerpiece of her campaign agenda. Her campaign is also focused on fighting the power of big real estate (she’s said “real estate developers own this city”) and she has regularly railed against the elected officials in the race, arguing that New Yorkers should elect a true outsider to the role of watchdog, also highlighting her skills as an investigative journalist. She has promised to have public advocate campaign staff spread throughout the five boroughs. Konst recently failed to answer a number of questions about her resume and biography for a Politico New York profile. He says his top priority as public advocate would be to expand the power of the office, such as giving the public advocate subpoena power, and promises a push to “downzone” parts of the city to limit large real estate development and enhance community input on projects. O’Donnell was a steadfast opponent of Amazon coming to Queens. A City Council member from Queens and the only Republican elected official in the race, Ulrich says he would be “Bill de Blasio’s worst nightmare” as public advocate.” He promises to hold the mayor and City Council accountable. He often frames his positions, such as support for the Amazon deal and opposition to congestion pricing, as defending the outer boroughs. He cites his biggest accomplishments as work he has done for the city’s military veterans and for rebuilding in his community, which was especially hard hit by Hurricane Sandy. He’s opposed to closing the Rikers Island jails, but wants to renovate them, and says community jails would make neighborhoods less safe, but could not provide evidence for that theory given that Manhattan and Brooklyn already have downtown jails. Ulrich calls himself a “Rockefeller” or “Bloomberg” or “moderate” Republican, who is socially progressive and economically conservative. He has been a staunch supporter of women’s reproductive rights and LGBT marriage equality. He has said de Blasio and the City Council have been spending far too much money in the city budget, and will pursue greater oversight on that issue if elected. A City Council member from Manhattan, Rodriguez has top priorities of fighting for immigrants and transit -- he has been the chair of the City Council’s transportation committee for more than five years now. He wants municipal voting rights for immigrants who don’t currently have them, and a bailout for taxi medallion owners. Rodriguez helped usher through the Inwood neighborhood rezoning, which he says wasn’t perfect but is a positive for the community given the investments it will bring. He also cites his support of the stalled Small Business Jobs Survival Act in the City Council, which would regulate lease renewals for small business in the city. During the campaign Rodriguez received a full-throated endorsement from City Council Member Ruben Diaz, Sr., who made his latest homophobic remarks while pushing Rodriguez’s candidacy on a radio program. Rodriguez explained he disagreed with Diaz Sr.’s remarks, but did not disavow the endorsement. “I’m the only pro-Trump candidate in the race,” he’s said, positioning himself as an outsider. His top priorities are fixing the MTA, investigating NYCHA, and addressing the homelessness crisis. Eisenbach is a history professor at Columbia University who unsuccessfully challenged Letitia James in the 2017 Democratic primary for public advocate. He has been highly critical of Mayor de Blasio, saying he has been involved in “pay-to-play” corruption and too much real estate development. He regularly cites what he calls a “small business crisis” in the city and wants to pass the Small Business Survival Jobs Act. Herbert is a community activist and consultant, and an unsuccessful candidate for public advocate in 2017. He points to his experience as a community advisor and activist and has focused his campaign on repairing NYCHA, moving homeless people into affordable housing, and creating a citywide vocational education program. Yee is an entrepreneur and civic technologist who has worked in and around Democratic politics for roughly a decade, including as secretary of the Manhattan Democratic Party. He has sought to engage more people in local politics through a program to help people run for county committee positions. In recent years he has been teaching civic engagement seminars across the city and he wants to implement a more robust program as public advocate. Most of his platform is centered on engaging and educating members of the public, empowering them to influence city government. Yee also promises to investigate “bad actors” at the Board of Elections, who he says are responsible for voter purges and election mismanagement. He has criticized the city government for failing to enforce concessions made by developers to communities. Sheikh is a public school teacher and community activist in Queens. He unsuccessfully sought the Democratic nomination to challenge incumbent City Council Member Eric Ulrich in 2017. His platform covers many of the same issues as his fellow Democrats in the race, but he has put a specific emphasis on addressing the needs of senior citizens. Walker, a state Assembly member from Brooklyn, dropped out of the race but was not able to remove her name from the ballot. Brendan Rose and Ben Max contributed to this article. There will be 17 candidates on the ballot, 10 of whom qualified for the first televised debate. Now, for the “leading contenders” debate, seven candidates met the threshold set by city law, which includes raising and spending $170,813, according to a spokesperson for the city’s Campaign Finance Board. Candidates made their latest filings to the Campaign Finance Board by midnight Friday. 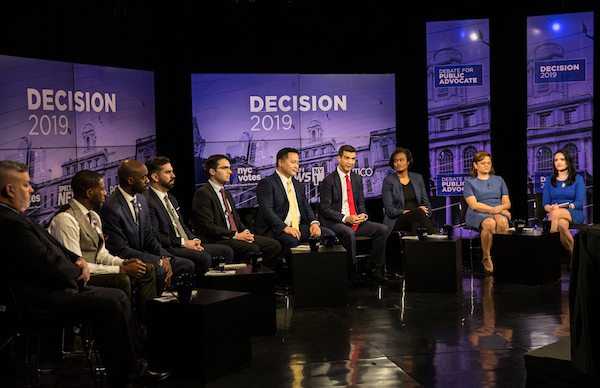 The seven candidates who will debate Wednesday night on NY1 television are former City Council Speaker Melissa Mark-Viverito, attorney Dawn Smalls, activist Nomiki Konst, City Council Members Jumaane Williams and Rafael Espinal, and state Assemblymembers Michael Blake and Ron Kim. Of the ten candidates who made the first debate, City Council Members Ydanis Rodriguez and Eric Ulrich and Assemblymember Daniel O’Donnell did not meet the threshold for the second debate. To make it into the “leading contenders” debate, the candidates then had till February 11 to raise and spend $170,813 and needed to be endorsed by an elected official representing New York City at the local, state or federal level, or by a membership organization with at least 250 members in the city (a labor union or political club, for instance). Ulrich, the only Republican at the first debate, Rodriguez, and O’Donnell did not meet the financial threshold for the second debate. At the first debate on February 6, the ten candidates made their pitches to city voters and weighed in on everything from funding for the MTA and NYCHA to the then-happening Amazon deal, and their disagreements with Mayor Bill de Blasio. To qualify for that debate, the candidates were required to show $56,938 in campaign fundraising and expenditure by the filing due just before the debate. The debate at 7 p.m. on Wednesday (February 20) will broadcast by Spectrum News NY1 and will be publicly accessible on NY1’s website and Facebook page. It will also be simulcast by NYC Life, the city’s media channel. The hour-and-a-half debate will again be moderated by Errol Louis of NY1, with questions also coming from Laura Nahmias of Politico New York and Bobby Cuza of NY1. The public advocate special election was triggered after the former office-holder Letitia James was elected New York State Attorney General. James filled a vacancy created by the resignation of former Attorney General Eric Schneiderman in the wake of allegations of physical abuse by several intimate partners. The public advocate is a watchdog over city government and an ombudsperson, with the power to introduce legislation to the City Council. The public advocate is also first in line to the mayor if the mayor is unable to serve out his or her full term. The position helped launch James to become attorney general, and her predeccessor, Bill de Blasio, to become mayor. The sponsors of the debate include Politico New York, Citizens Union, the League of Women Voters, the Latino Leadership Institute, Borough of Manhattan Community College, NAACP New York State Conference Metropolitan Council, and Delta Sigma Theta Sorority, Inc., East Kings County Alumnae Chapter. Beyond the ten candidates who made the first debate, the other candidates on the February 26 ballot will be Benjamin Yee, Manny Alicandro, David Eisenbach, Jared Rich, Tony Herbert, Helal Sheikh, and Latrice Walker, an Assembly member who has dropped out of the race but was unable to have her name removed from the ballot. The election, open to all registered voters across the city, is expected to be low turnout. The winner will hold the seat at least through the end of this year -- there will be a primary election this June and a general election this November to determine who holds the seat for 2020 and 2021. The citywide special election has attracted a wide and deep field of candidates -- there will be 17 names on the February 26 ballot -- including several sitting elected officials, each hoping to become the city’s watchdog and ombudsperson, one of just three citywide elected officials and next in line to the mayor. The public advocate has a lot of responsibility but limited powers, which do include the ability to introduce legislation to the City Council, and a roughly $3 million annual budget. With 10 candidates on stage, each trying to introduce and differentiate her or himself to voters, the debate could prove somewhat pivotal as contestants try to make their mark, and spur media attention, volunteers, and donors toward their campaigns. The debate may be the first time many voters are paying attention to the race or meeting some, if not all, of the candidates. Below, you’ll find a guide of eight things to watch for in the debate. But first: while some say the public advocate position should be eliminated or mock it’s relative lack of power, the debate, and the larger election, are important -- the last two public advocates are now the Mayor (Bill de Blasio) and state Attorney General (Letitia James). Meanwhile, before moving on to bigger or simply other things, the public advocate can have significant impact on city government through the bully pulpit, policy reports, legislation, legal action, and coalition building. 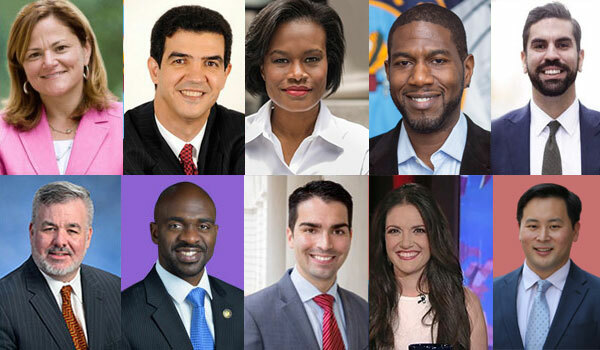 The 10 candidates who will participate in the first debate are former City Council Speaker Melissa Mark-Viverito, activist Nomiki Konst, attorney Dawn Smalls; State Assembly Members Michael Blake, Ron Kim, and Daniel O’Donnell; and City Council Members Rafael Espinal Jr., Ydanis Rodriguez, Eric Ulrich, and Jumaane Williams. Airing from 7 to 9 p.m. Wednesday night on NY1 from the CUNY-TV studio in Manhattan, it will be the first of two televised debates in the special election (the second one is February 20). It will be moderated by NY1 political anchor Errol Louis, with questions also coming from panelists including Laura Nahmias of Politico New York. 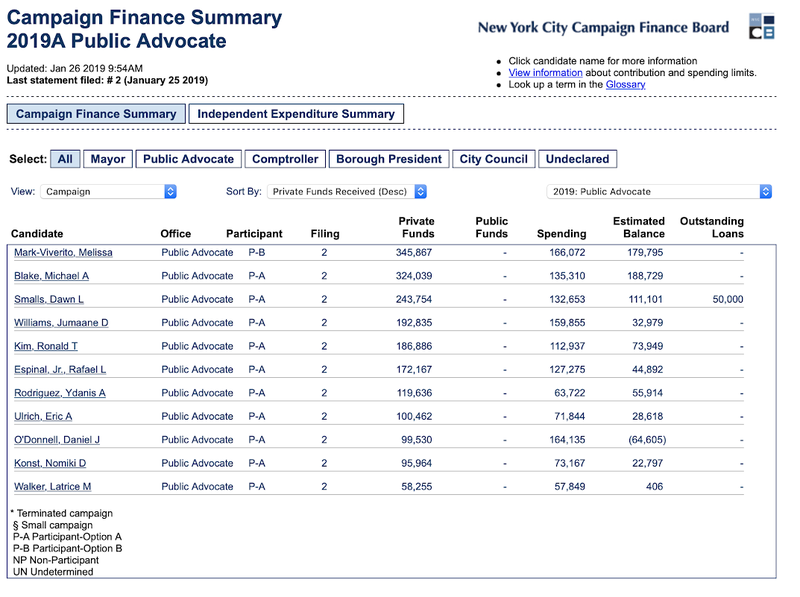 Candidates qualified by hitting the New York City Campaign Finance Board financial raise-and-spend threshold of $56,938, as dictated by city law. 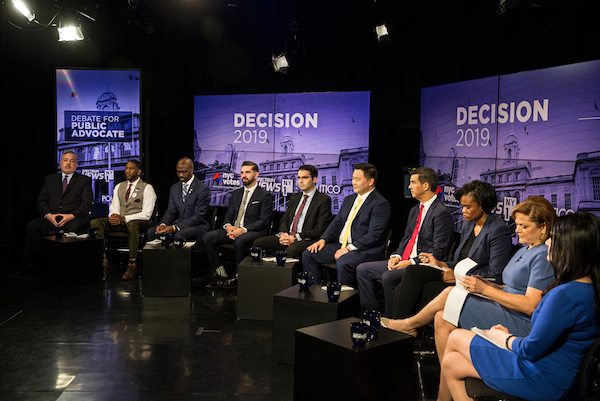 The debate will also air on NY1’s website and Facebook page (and on the city’s “NYC Life” channel available on all cable providers, as mandated by a new city law). 1. How will each candidate try to define themselves? Candidates have a choice to make in terms of how they balance talking about their personal story, their accomplishments, their plans for how they’d run the public advocate’s office, how they would approach Mayor Bill de Blasio, and what sets them apart from their competition. The questions will influence these choices, but candidates can spend their allotted time, including but not limited to any opening and closing statements, returning to their chosen talking points. Mark-Viverito is likely to stress both her experience leading the City Council, especially on criminal justice reform, and the need for diversity in top city positions, where the current mayor, comptroller and City Council speaker are all white men. Williams will talk about his work as “an activist elected official” who has staked out progressive positions on police reform and affordable housing. Blake will tout accomplishments by the Democratic majority of the state Assembly like raising the age of adult criminal responsibility, his work for President Barack Obama, and his “jobs and justice” platform in this race. He’ll bill himself as an organizer, a coalition builder. O’Donnell will talk about his independence, exemplified, he’ll say, by his refusal to sign a letter enticing Amazon to consider New York City for a headquarters; and his successful push to pass marriage equality in New York. Kim will also talk about his opposition to Amazon, while also touting his platform to recreate the public advocate’s office as one focused on helping to eliminate student debt. Espinal will highlight legislative accomplishments, like repeal of an antiquated law limiting which clubs are allowed to host dancing and creation of the Office of Nightlife, and what he’s working on now: legalization of e-bikes and e-scooters as well as other climate-friendly policies. He’ll explain he’s focused on making it easier for everyday New Yorkers to live in this city. Smalls will discuss her carefully-outlined platform and how she’ll focus the public advocate’s office on four key areas: homelessness, housing, transit, and civic participation; and she’ll highlight her work as an attorney and in the Obama administration. Konst -- who along with Smalls are the only two who have not held elected office -- will fill the “outsider” lane, talking about the need for someone with her independence from the political muck and investigative skills as a journalist to come in and shake things up, call it like it is, and provide real oversight. She’ll stake out far left policy positions like calling for a $30-an-hour minimum wage and vilifying the real estate industry, as well as politicians beholden to it, who she’ll say have caused an affordability crisis in the city. Rodriguez will talk about his immigrant story and fighting for immigrants during his career as an activist and as an elected official, and explain that’s what he’ll do as public advocate if elected to the post. He’ll also talk a lot about transit and refer to his work as the City Council’s transportation committee chair over the last several years. And Ulrich, the lone registered Republican on the stage, will argue he’s the only one who can truly hold Mayor de Blasio accountable given their widespread disagreements, though he’ll also explain that he’s a “moderate” and “Rockefeller” Republican who is progressive on social issues, perhaps saying that he sees himself in the mold of (now-Democrat) Michael Bloomberg. He may highlight his support for Amazon coming to Queens as the Democrats on the stage mostly criticize the deal. Everyone will rail against the MTA. Most of the candidates will express support for congestion pricing, some may also call for a millionaire’s tax to fund subway upgrades or for the city to take control of the subways and buses. Everyone will say what has gone on at NYCHA is a disgrace. Solutions there, however, may not roll off the tongue. As the only Republican on the stage, Ulrich has a clear mission in the debate and the broader race: to attract as many moderates and conservatives, independents and Republicans, as possible to pull off a victory in a crowded race where someone could win with 30% of the vote, maybe even less. While the rest of the candidates will argue over their progressive bona fides, pitching themselves to many of the same voters, Ulrich will likely focus his fire on de Blasio (others will do some of that, too, of course), and position himself as the alternative to a bunch of Democrats trying to out-socialism each other. Ulrich may also have to be clear that he’s not a supporter of Donald Trump -- he backed John Kasich in the 2016 GOP presidential primary and has criticized the president repeatedly, drawing ire from some of his fellow Republicans, though much of the city’s GOP establishment has gotten behind his candidacy. In the City Council, Ulrich very often votes with the Democratic majority while his two fellow Republicans vote “no,” sometimes along with several more conservative Democrats. 3. How negative will it get? It’s a sprint of a race and a crowded field. The candidates have been traversing the city meeting with clubs and organizations and appearing at candidate forums and debates, which have apparently only had a few tense moments between the candidates, though there have been many comments about some of the perceived frontrunners (Williams, Mark-Viverito, and Blake), along with a few criticisms for others, like Espinal, who has been tweaked for his support of a neighborhood rezoning in his district that some say will (or already is) spur gentrification and displacement. Candidates will likely mostly stick with more vague comments that include phrases like “unlike some of my opponents,” but we may see some more pointed criticisms. How hot things get will depends on a few things: whether one or two candidates decide to go negative and open the floodgates; how much urgency certain candidates are feeling with less than three weeks until the election; and whether there is a “cross-examination” round where candidates get to ask one of their opponents a direct question. Look for Williams, Mark-Viverito, and Blake to be the most frequent targets of any negative comments, outright attacks, or those pointed candidate-to-candidate questions. What might come up exactly? For Mark-Viverito, it could be questions about her support of a rezoning in her City Council district, her closeness with de Blasio or with Oscar López Rivera, how she’s handled some of her campaign financing, or whether she provided strong enough oversight of issues at NYCHA while she was City Council speaker. As the candidate who has held the most power in government, she has both the most to point to in terms of accomplishments but also a series of vulnerabilities. For Blake, possibly the outside income he has earned as a consultant or his support for charter schools. For Williams, perhaps that he just ran for lieutenant governor and is now pursuing another higher office or some of his campaign financing, but most likely the ongoing questions around his support for a woman’s right to choose and for marriage equality. There was also a recent report about a campaign staffer who was a teacher and had been fined for sending inappropriate messages to a student. Espinal could face some questions, or at least barbs, about the East New York rezoning that he negotiated with the de Blasio administration. Ulrich could face questions about Trump, as virtually every Republican running for office over the last few years has, even those who have not supported the president who is deeply unpopular in New York City. If Konst is particularly critical of her opponents and one or more decide(s) to fire back, she could face questions or comments about what exactly she has accomplished, especially for New York City voters, or what qualifies her for a citywide office. Amazon is likely to come up several times, particularly with regard to the 2017 letter that some of the public advocate candidates did sign, encouraging the company to consider New York. Those signees, including Mark-Viverito, Williams, and Blake, have criticized the deal and said that while they may have signed a letter of interest, they were not signing off on any deal and expected a better process. That hasn't been a good enough answer for O'Donnell, Kim, Konst, Espinal, and others. And there could very well be new questions or critiques thrown by one candidate at another. There’s clearly opposition research happening by some campaigns, with a lot at stake in the election. Even though there will be 10 candidates and there’s potential for a lot of cross-talk, the debate is very likely to stay orderly. The candidates involved are all respectful of rules and Louis always runs a tight ship. Konst is certainly known to speak forcefully and critically, and if she’s throwing verbal punches, she may take some control of the conversation by virtue of putting some of her opponents back on their heels. If other candidates have to appeal to the moderator to “have a chance to respond to that,” she may get the kind of debate attention she may need. O’Donnell can also be particularly biting, though it’s unclear how harsh he wants to get with his competition -- he’s also quite affable. Rodriguez has had a penchant for saying somewhat controversial things in his time in the Council, including when he was arguing that the City Council was not going far enough as it was voting itself a large salary raise. How bold does he get? Blake and Mark-Viverito are both exceptionally competitive and may decide that what it takes to win is to try to dominate the debate, including by being particularly sharp with their competitors. And while Smalls is consistently calm and collected, she may present something of a wild card in that she may impress a lot of people watching, giving herself even more of a chance (she’s raised a good bit of money and is strong at local forums) in what is very clearly a long-shot bid. There’s a good chance that the candidates will have a lot of harsh words for one former public advocate, Bill de Blasio, and a lot of kind words for another, Tish James. There have only been four public advocates since the position was created through charter revision commission late last century. The other two are Mark Green and Betsy Gotbaum. Green has endorsed Williams this year, while Gotbaum is the executive director of Citizens Union, a good government group and co-sponsor of the debates. The candidates may be asked to discuss which of the former public advocates they most admire or would borrow strategies from, or candidates may offer some of those examples themselves. Essential to the whole night is that the candidates must individually and collectively make the case that the position of public advocate is important, worth keeping, and worth caring about enough for people to vote. Perhaps more important than their stances on any issues is whether the candidates can outline strong strategies for how they’ll engage everyday New Yorkers and respond to the issues that they raise and be an aggressive and effective watchdog over city government. When the candidates talk about the position, how much fire is in their bellies -- and is the fire about using the office to help people or about using it to move on to the next thing? Maybe both? 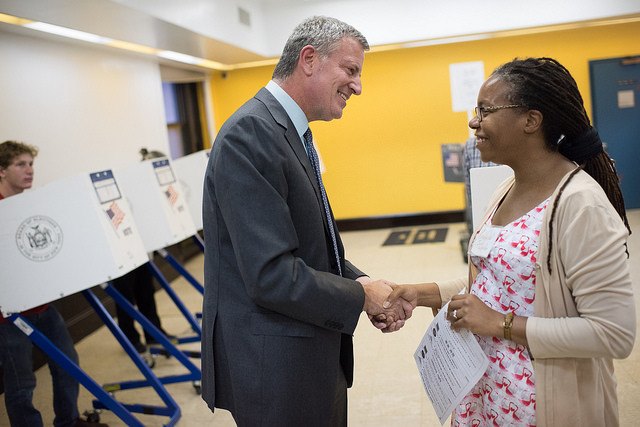 As it has throughout the race, the question of mayoral aspirations is likely to come up. After all, Green and de Blasio both ran for mayor while they were public advocate and James likely would have if the attorney general position hadn’t opened up with Eric Schneiderman’s dishonorable resignation. Some candidates, like O’Donnell, have pledged to never run for mayor, while Williams and Blake have pledged not to run in 2021 if successful in this special election and then in the fall election that will follow. Mark-Viverito has said she's not ruling anything out. Ulrich has said he will run for mayor if he’s elected public advocate. The debate could be quite substantive. The candidates on the stage are all serious people who want to work in government and to accomplish things to help people and the city overall. They’ve been touring the forum circuit where they’ve been asked about all sorts of broad and specific issues, from affordable housing to congestion pricing to policing and more. The public advocate is able to carve out policy areas to focus on based on the interests of the officeholder, though major issues facing the city also command attention. The candidates have all put forth ideas and policy proposals, discussed legislation they may look to introduce if elected, and changes they believe are needed to major institutions, from schools to the MTA. Hot button issues like the Amazon deal, NYCHA’s future, congestion pricing and how to fix the subways, and more could all come up. Like in all candidate debates, pay special attention to which candidates actually offer solutions to key problems facing the city and which only talk about what’s gone wrong and how much of a shame it is. It will be particularly interesting to get candidates on the record about as many key issues as possible, like infill development on NYCHA land or neighborhood rezonings, the mayor’s affordable housing plan, police accountability, school turnaround, the BQX, parking placard abuse, bus lane enforcement, and more. What do the candidates think should be done about climate change? Homeless shelter siting? And so on. Much of the policy that is discussed will depend on the questions from the moderator and panelists, and they are sure to cover a lot, but candidates can also find ways to work in key points they want to make about where they think the city needs to go. Watch for them on social media during the debate and at local forums between Wednesday and the election on February 26. The public advocate candidates not in the debate include Ben Yee, David Eisenbach, Jared Rich, Tony Herbert, Manny Alicandro, and Helal Sheikh (Latrice Walker will be on the ballot but she has dropped from the race). The co-sponsors of the debate at 7 p.m. Wednesday are Spectrum News NY1 and Spectrum News Noticias NY1, Politico New York, Citizens Union, Borough of Manhattan Community College, Latino Leadership Institute, The League of Women Voters of the City of New York, NAACP New York State Conference Metropolitan Council, and Delta Sigma Theta Sorority, Inc., and East Kings County Alumnae Chapter. The second debate, likely with a smaller field of candidates, will take place on Wednesday, February 20, again on NY1 and NYC Life. The citywide election is open to all registered voters on February 26. Note: this article has been corrected to reflect that Blake has said he won't run for mayor in 2021 if he is elected public advocate. It’s going to be a crowded stage -- but not as crowded as it might have been. Ten of the 20 remaining candidates in the special election for New York City Public Advocate have officially qualified for the first of two televised debates in the race, scheduled for February 6. Candidates had till last week, when the latest campaign finance filing was due with the city Campaign Finance Board, to raise and spend at least $56,938. The citywide election is February 26. 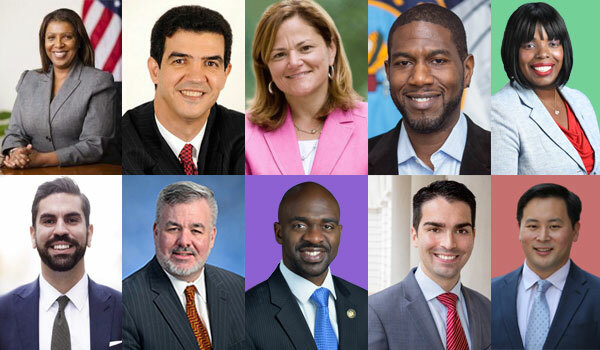 The ten candidates are former City Council Speaker Melissa Mark-Viverito, Assemblymember Michael Blake, attorney Dawn Smalls, City Council Member Jumaane Williams, Assemblymember Ron Kim, City Council Member Rafael Espinal, City Council Member Ydanis Rodriguez, City Council Member Eric Ulrich, Assemblymember Daniel O’Donnell, and activist Nomiki Konst. Mark-Viverito leads the pack in funds raised, with $346,000, though about half of that was transferred in from her prior campaign account, and spent $166,000 (which, notably, is just $4,000 short of the financial threshold for the second “leading contenders” debate on February 20). All of the ten candidates are participating in the CFB’s public matching funds program, which is meant to incentivize campaigns to raise money from small-dollar donors, though there are two systems within the program they must choose from. Candidates can opt in to one of two models -- the old model that matches contributions up to $175 at a 6-to-1 ratio or the new model, which gives 8-to-1 matches for donations up to $250. Both are at play in this special election and others through the 2021 city cycle, after which the new model takes over completely. That model was passed by voters after being recommended by Mayor Bill de Blasio’s 2018 charter revision commission, and the City Council recently passed legislation to apply it to this year’s public advocate races (the special election and subsequent fall election). Mark-Viverito is the only one sticking with the old system while the other nine candidates opted in to the new one, which also comes with lower contribution limits overall. When the City Council passed legislation to allow the new system into the special election, Mark-Viverito indicated a belief that the Council members running and others in the body were acting in order to hurt her chances of winning. Some responded with confusion or indignation, pointing to the fact that the new system seeks to reward small-dollar fundraising and remove the influence of larger donors. To qualify for public funds for the public advocate special election, the candidates have to meet a dual threshold, raising at least $62,500 from a minimum of 500 contributors. Initial numbers indicate that, of the 10 candidates who have raised enough to get into the debate, Rodriguez and Konst are the only two that don’t seem to have met the public funds threshold yet. The first round of public funds will be disbursed on Wednesday. First, the city Board of Elections will meet on Tuesday for a hearing to rule on several challenges to candidates’ ballot petitions and therefore finalize the February 26 ballot -- there is therefore a chance that not all ten candidates who have qualified for the debate will be on stage, as some do have petition challenges against them. Both the February 6 and 20 debates will be broadcast by Spectrum News NY1, and will be freely accessible on its website and Facebook page. It will also be livestreamed on NYC Life, the city-run media channel. The debate sponsors include Politico New York, Citizens Union, the League of Women Voters, the Latino Leadership Institute, Borough of Manhattan Community College, NAACP New York State Conference Metropolitan Council, and Delta Sigma Theta Sorority, Inc., East Kings County Alumnae Chapter. 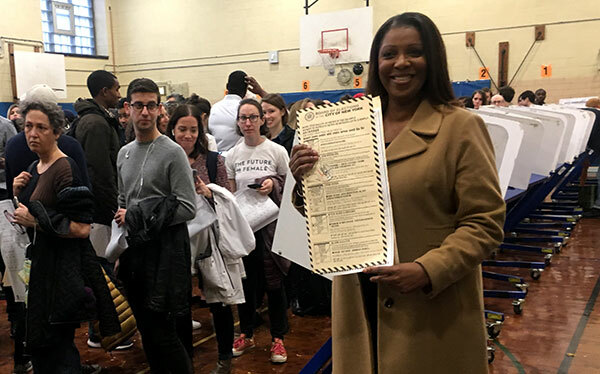 The special election is occurring because former Public Advocate Letitia James was elected Attorney General and vacated the seat. The winner is only guaranteed the position through the end of this year, while the fall election will determine who holds it for 2020 and 2021, the next city election cycle. Assemblymember Ron Kim, a candidate for New York City Public Advocate, sent out the first mailed advertisement of his campaign this week, touting his early opposition to the deal between Amazon and New York, and contrasting it with other leading candidates in the race. The advertisement appears to be the first mailer of the race, a sprint to the February 26 special election to fill now-Attorney General Letitia James’ former seat. 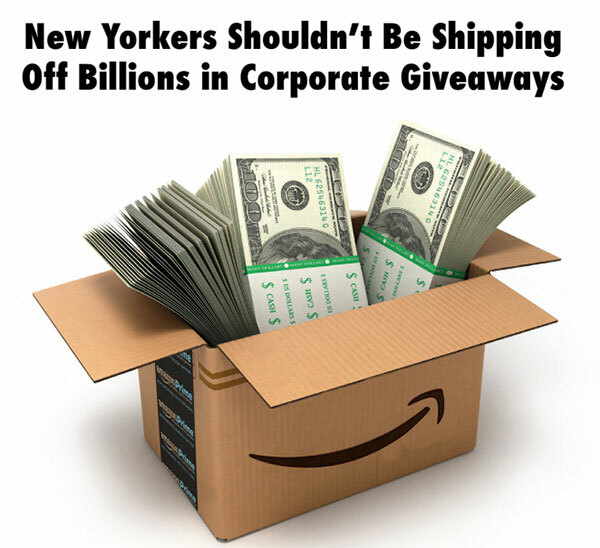 Notably, it jabs at four perceived frontrunners, highlighting their signatures on an October 2017 letter signed by most elected officials in New York City to Jeff Bezos, founder and CEO of Amazon, urging him to bring the second Amazon headquarters to New York. Over a year later, the corporate giant and New York City and State officials announced the controversial deal that is now a flashpoint in the public advocate race. Kim, who did not sign the letter, is running on a platform of “people over corporations” and a promise to reinvent the public advocate’s office. Specifically, the signatures of fellow public advocate candidates blown up on the mailer are former City Council Speaker Melissa Mark-Viverito, State Assembly Member Michael Blake, and City Council Members Ydanis Rodriguez and Jumaane Williams -- all Democrats like Kim, who represents parts of Queens. Since signing the letter, which was a broad overture, Mark-Viverito, Blake, and Williams have rejected the specific deal that was reached for an Amazon campus in Queens, which includes roughly $3 billion in tax incentives and grants from the city and state. Rodriguez's position on the Amazon deal is less clear, and his office did not respond to a request for comment. The letter to Bezos is essentially a sales pitch for New York City and cites many resources, like the high number of startups in New York as well as the large population Amazon would have at its disposal. “After they saw the backlash, [Mark-Viverito, Blake, Rodriguez, Williams] all of a sudden changed their position against Amazon for political expediency,” Kim said by email. Other prominent elected officials not to sign the letter were Assembly Speaker Carl Heastie, city Comptroller Scott Stringer, City Council Speaker Corey Johnson, and Queens City Council Member Donovan Richards, as well as two other current public advocate candidates: Rafael Espinal, a City Council member from Brooklyn, and Danny O'Donnell, an Assembly member from Manhattan. Kim has spoken out against the Amazon deal since before it was announced. In comments to Queens Chronicle about two weeks before Amazon and New York announced the deal, he rejected a possible agreement to bring the online giant to the city. He co-wrote two op-eds heavily critical of Amazon and the deal, first in the New York Times with 2018 New York Attorney General candidate Zephyr Teachout, and another two weeks later in the New York Daily News with then-State Senator-elect Jessica Ramos. Shortly after details of the deal were released, Assemblymember Kim announced legislation to block the incentives offered to Amazon and use the money to buy and cancel student debt. As public advocate, he would introduce similar legislation in the City Council. Opposition to the Amazon deal fits Kim’s thematic messaging for his campaign, he’ll even be on the self-created “People Over Corporations” ballot line on Feb. 26, which includes that push to cancel student debt and promoting local small businesses. The mailer describes the deal as a corporate giveaway and calls for investment in the MTA, schools, and affordable housing instead of the billions of incentives in the Amazon deal. 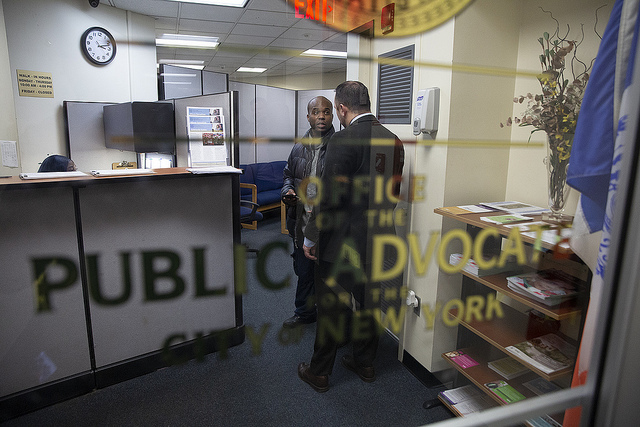 The role of public advocate is intentionally flexible in the New York City Charter, but the three duties most often assumed by public advocates are introducing legislation in the City Council, bringing issues to the front of public discourse, and serving as a watchdog of city agencies. It appears there is little the next public advocate can do about the Amazon deal, but the most likely influence would be through applying public pressure on Mayor Bill de Blasio to cancel or make significant changes to the deal. “As the ombudsman for the people of New York City, the Public Advocate has a strong bully pulpit which I will use to convince (both publicly and privately) my colleagues in government to reject the Amazon HQ2 deal,” said Kim. The public advocate election to be held next month will have a large field of candidates. Twenty-three hopefuls submitted the required 3,750 signatures to the New York City Board of Elections by the Monday deadline. Also running are Queens City Council Member Eric Ulrich, Assemblymembers Daniel O’Donnell of Manhattan and Latrice Walker of Brooklyn, former Obama and Clinton administration attorney Dawn Smalls, and journalist and activist Nomiki Konst, among many others. Two names noticeably did not appear on the mailer: Mayor Bill de Blasio and Governor Andrew Cuomo, the leaders of negotiations with Amazon executives who held a joint celebratory November press conference to announce the deal. De Blasio and Cuomo were immediately and loudly criticized for the deal by a number of elected officials and activists, though they also got some praise and the only public poll on it shows a mixed bag, but with more support than not. The criticism stemmed from the lack of transparency and oversight involved in the process, the incentives involved, Amazon’s business practices, and the potential impact on local housing prices and infrastructure.